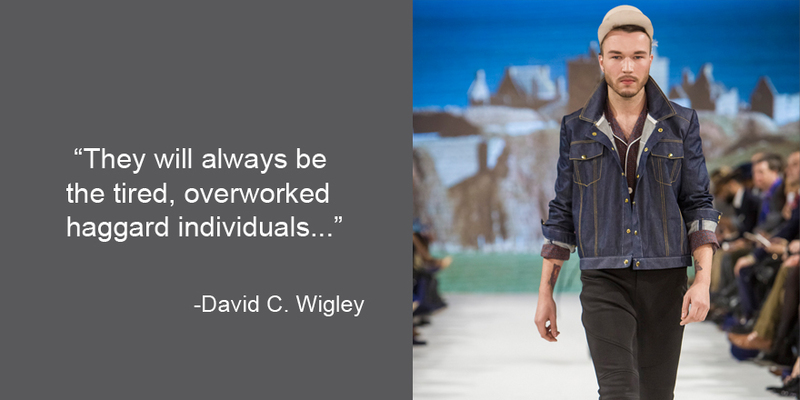 Designed for his teddy bear, the first garment David C. Wigley ever produced was a pajama shirt which the designer admits was “crude and it fell apart.” No longer designing clothing for his childhood toys, David launched his Worth. 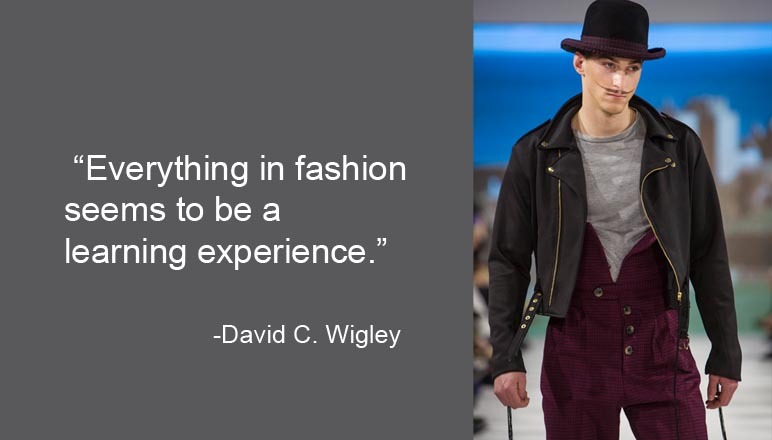 by David C. Wigley line in 2009 and recently launched EASE. 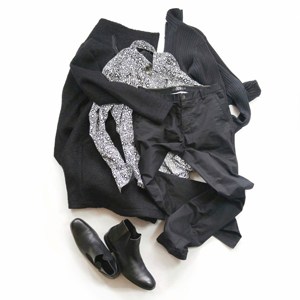 by David C. Wigley, a unisex essentials line made of cottons and available in standard black, white, gray and a seasonal pop colour corresponding with its sister line. 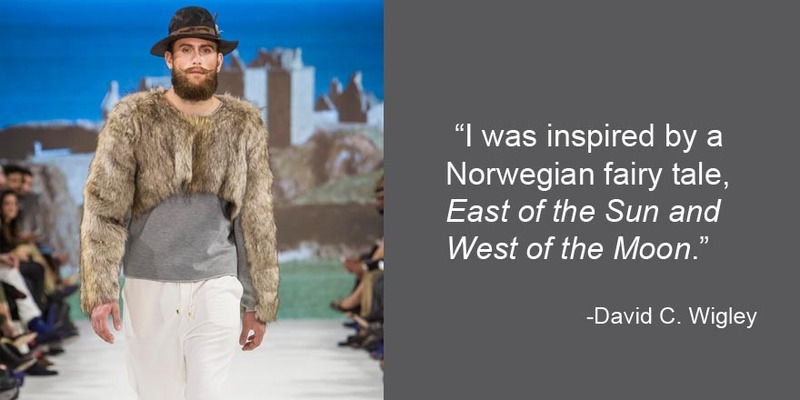 Last month during Toronto Men’s Fashion Week David showed his Fall/Winter 2015 Worth. by David C. Wigley collection. Read the full #stmINTERVIEWED below to discover which fairy tale inspired the collection, why he considers everything in fashion to be a learning experience and who in the fashion industry is his hero. Q – STM – How old were you when you discovered your love of fashion? What caught your attention? A – David – I never had an interest in fashion until I started modeling around 15/16. My interest was always in science and art. I wanted to be either an illustrator or build miniature models for filmmaking. It wasn’t until I applied for colleges that I chose a career in fashion. Q – STM – When do you feel most inspired and what fuels your creativity? 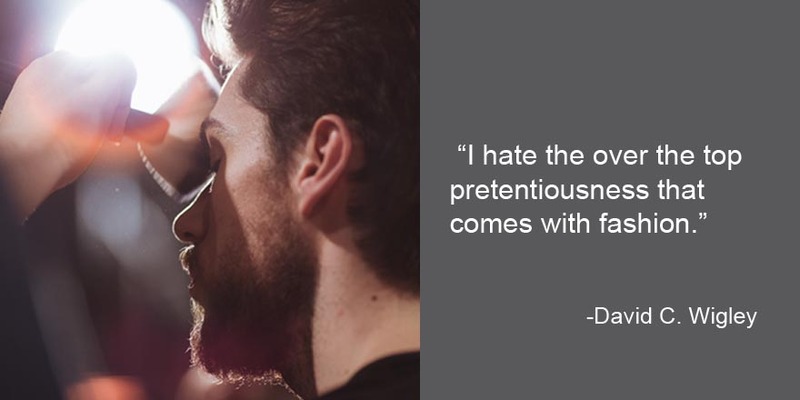 A – David – I’m always most inspired when I’m distracted and not thinking about fashion. My inspiration is always drawn from life around me. I’m especially captivated by nature and science and more importantly history. Q – STM – How do you approach designing for men vs. women differently? A – David – I come from a very similar place when designing for each gender. I have my idea of how I like to see my client and I try to put that into the clothing and design. I use a lot of the same fabrics/elements for both collections, ex. fabrication, techniques, harnesses, strong shoulders, stiff tailored silhouettes. It’s funny because in menswear those images can appear feminine, submissive even, neither of which being my intention and the opposite true for my women’s wear, it empowers them, creates a masculine edge. I like to tell a story in my collection, even if it never comes across. I need to see who this person is, where they are going, what they do in their life. I tend to dress someone who is interesting, captivating and at the same time provocative and dangerous. Q – STM – Who in the fashion industry is your hero and why? A – David – The late great Alexander McQueen is the only designer I’ve ever looked up to. I feel he and I think very much in the same way. 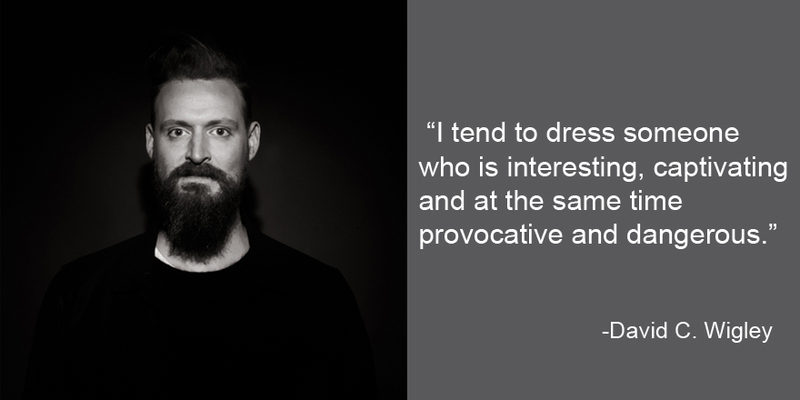 He saw clothing as an art and was never into the idea of “fashion” and the world around it. I’ve always said you can walk backstage to any of the great fashion weeks and instantly spot who the true designers are. They will always be the tired, overworked haggard individuals in jeans and t-shirt counting the minutes till they can go home. I love making clothing, I love showing clothing. I love the theatricality of being able to tell my story on the runway, but I hate the over the top pretentious-ness that comes with fashion. 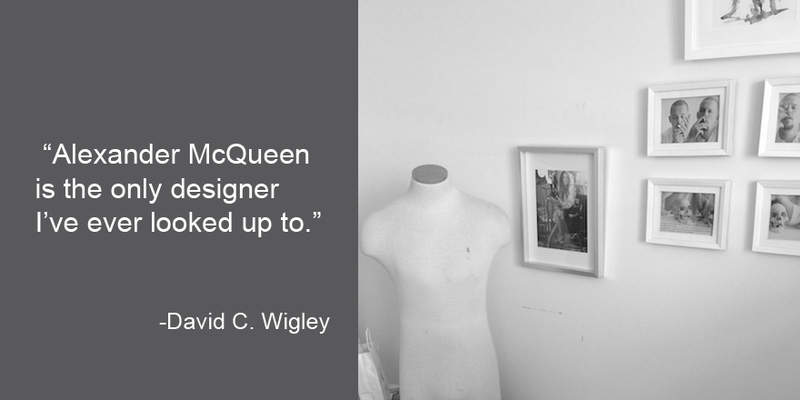 I’ve always been able to relate to McQueen’s way of taking the world of fashion and spinning it on its head. Making it into a caricature of itself and handing it back. Q – STM – What would you say is the role of fashion today? 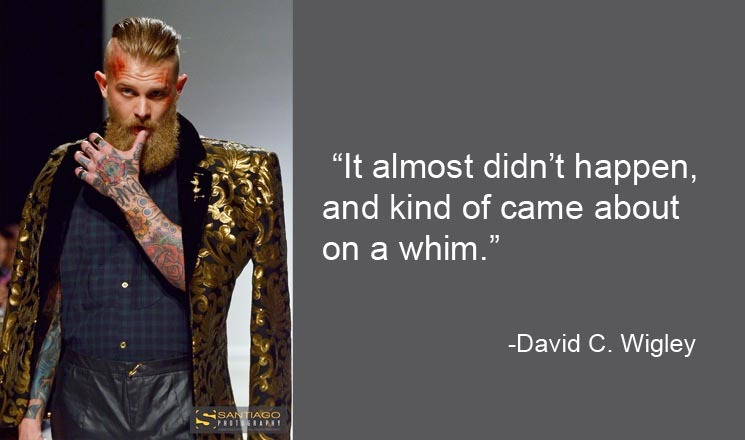 A – David – Fashion isn’t what fashion was. Fashion has either become about putting together the trendiest label ridden clothing and putting it on instagram with a billion hashtags, or trying to put together the most outlandish outfit to garner attention. I would love to go back to the 40’s/50’s when everyone was put together. There was no label, there was no brand image, it was just about a clean polished silhouette that worked. It was sharp and sleek, well tailored, fine fabrics, perfection. 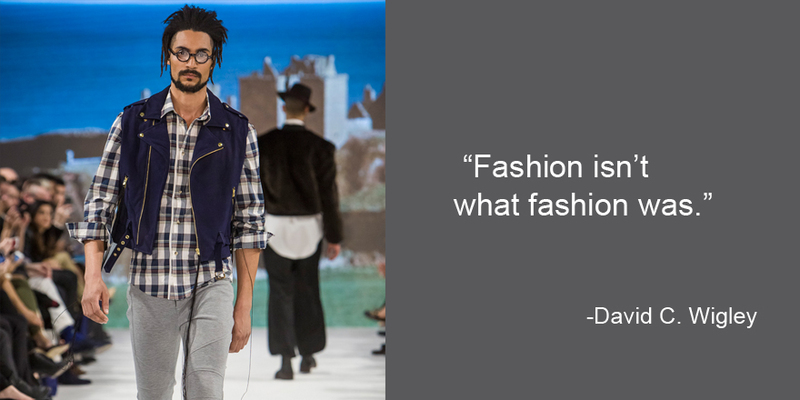 Q – STM – How did participating at FAT (Fashion Art Toronto) in the past help you prepare for TOMFW? Q – STM – What was going through your mind back stage at TOMFW15? 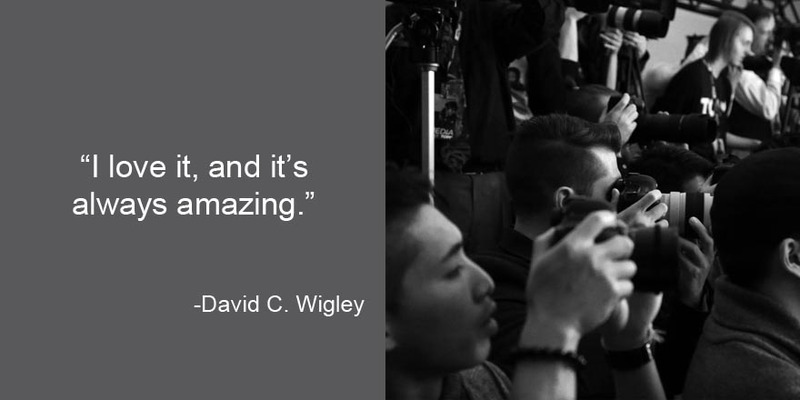 A – David – Backstage was a pretty insane experience, but it always is. It’s months and months of preparation to quickly be thrown together. It’s always about slipping into a new mental space. It’s funny one of my models remarked to another that backstage I’m a different person, I’m not to be talked to, and I may be snappy but it’s only because I have a very specific vision of what I want to see, but as soon as that first model walks I snap out of it and go back to my regular self. Q – STM – Describe your current collection for Worth. by David C Wigley. A – David – I was inspired by a Norwegian fairy tale East of the Sun and West of the Moon that my mom used to read to me when I was a kid. Growing up I always heard stories about my Scottish ancestry and the castles that belonged to our clan. Our house was always filled with heirlooms and relics of the days gone by, and my mom and I would pour over family photographs and trinkets: a swatch of our tartan, portraits of our clan nobility, and my favourite, an 1827 calling card from the Duke of Gordon with a personal letter to an unknown gentleman. Growing up I always thought that all tales about castles were about our family’s castles. The idea for taking this childhood favourite tale had always been in the back of my head, and this season it just felt right. The story is of a girl who is married to a polar bear, and what she doesn’t know is that by night he turns into a beautiful man. 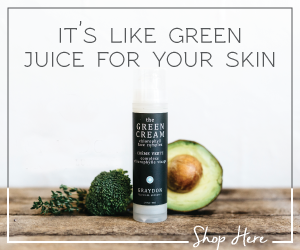 One night she spills wax on his skin when she wants to see who she is sleeping next to, and with that she seals the curse and he is forced to marry an ogre’s daughter. The rest of the tale is how the girl must travel east of the sun and west of the moon to save him. Using this imagery I came up with the idea of a dark stranger, a sort of woodsman who’s as ruggedly handsome as he is dangerous. I’ve re-imagined the tuxedo in non-traditional fabrics, and played up on the notion of becoming someone else by nightfall by way of traditional night dress (pajama sets, kimonos, robes) and creating a look that is both evening wear, and a little bit rock and roll with the addition of tartans, leather, denim and fur. Q – STM – What are your goals with this collection? Who would you see wearing it and what do you want to see happen? A – David – TOM* has been an incredible platform to garner exposure to media and buyers. With this collection we want to continue that upward trajectory and capitalize on the interest in the collection. 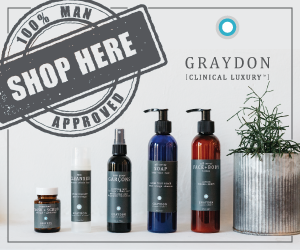 We are also launching the new website in tandem with the show which will feature an e-commerce site to feature the new capsule collection “Ease”, a 6 piece collection of unisex essentials to create a complete wardrobe. The collection is available in a limited colour way of black, white and grey and will feature a seasonal pop colour that will rotate every four months (the debut will feature metallic copper leather). The collection consists of a t-shirt, sweatshirt, button front shirt, fitted trouser, bomber jacket, and a fitted motorcycle jacket. Q – STM – When it comes to the fashion industry, what was one thing you learned the hard way? A – David – Trust. Not doing your homework. I’ve lost a lot of money by putting faith into people who couldn’t or maybe, had no intention of meeting expectations. But you live and learn and move on. 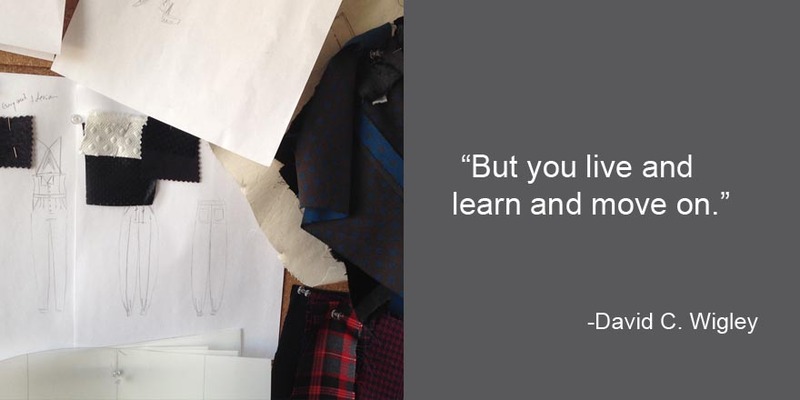 Everything in fashion seems to be a learning experience, and everything comes with it’s own learning curve. Q – STM – If you could collaborate with any Canadian designer who would you choose and why? A – David – I have a very specific point of view when it comes to my designs, I use fashion as a way to tell my story, I don’t think I could ever collaborate with another designer. However, I do season over season collaborate with digital, and fine artists to create custom prints. There is one girl out of OCAD, I’m not sure of her name, and she creates these massive scale photorealistic paintings of cut diamond. They are absolutely breathtaking. Her ability to capture light, and the refractions of a diamond are uncanny. I would love to create a suit with her. Q – STM – Choose one of your favourite garments from a past collection and explain why it is one of your favourites. 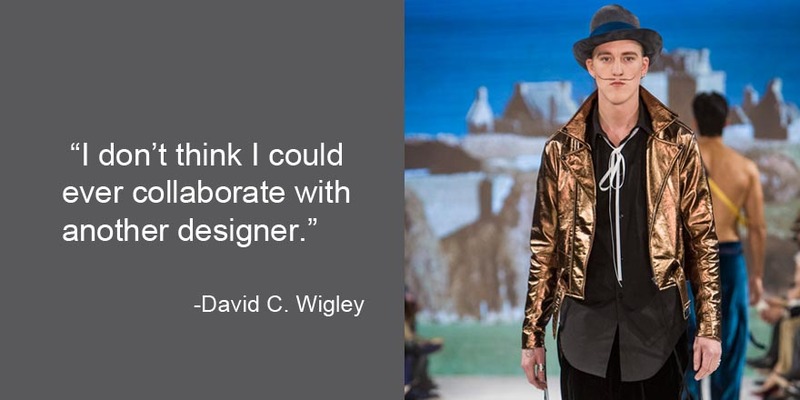 Make sure to visit www.bydavidcwigley.com to experience all of David C. Wigley’s brands and follow the designer on facebook here and instagram here. Previous story Alexander McQueen Fashion Illustrations on Draw A Dot.